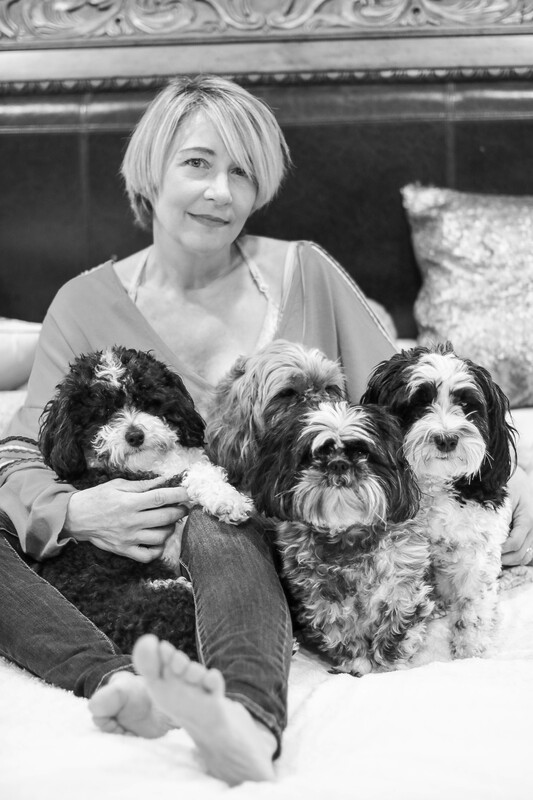 Perfectly Posh Paws founder Linda Atteo has always had a big heart when it came to animals in need. As a child her passion and love for helping animals began with a stray cat named Mittens. She cared for Mittens and a bond soon developed between them. She was not happy and soon realized that strays in the neighborhood were a problem and was upset that no one took it upon themselves to try to fix the situation. After many years, Linda soon found herself rescuing injured birds and helped rescue 25 cats that were rooming in her Mount Prospect community. Working with one of the local rescues informed her that the colony was going to be euthanized if they were captured by the Mount Prospect police so she made it her mission to help every cat or kitten she came across by calling local rescues to help trap and then bring each one into a rescue. When Linda got married she adopted her furry friend named McGee who was her companion and buddy for 18 years, and after his passing adopted four more dogs Oreo, Bear Charlie, and Max. 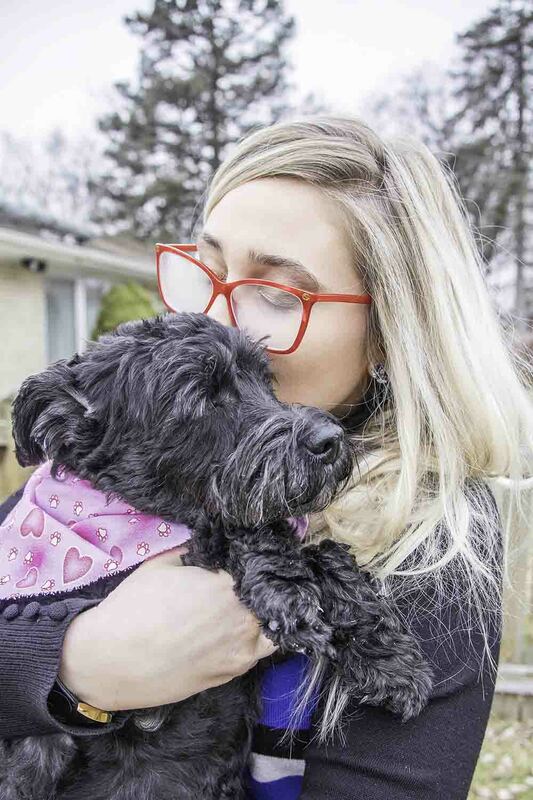 Her excitement and love for animals grew deeper and she wanted to help the community in a bigger way and started fostering more than 30 dogs for many local rescues. She fostered for 3 years until she realized she could make difference in the Chicago land area and that is where Perfectly Posh Paws was founded from her love and her devotion to abandon animals. Our all-breed 501C-3 animal rescue and specialty pet services team is dedicated to the protection of all canines or felines that are in danger of abuse, neglect or abandonment. We aim to making a positive difference in the lives of animals in our community and in other countries. To improve the quality of life for all dogs and cats in our care is our commitment as we save as many animals as we can in order to help improve over population of strays or un-wanted pets. 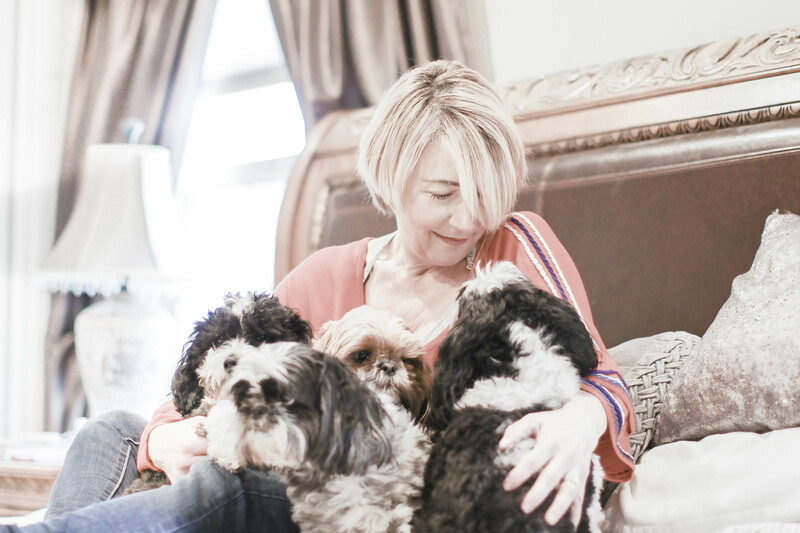 We are a non-profit all-volunteer foster based group of passionate individuals who truly love animals and believe saving every abandon animal or mistreated pet is worth rescuing and each day our team is making a difference in the lives of pets and their families. We will continue to add new programs from educational outreach to new community projects to inform dog ownership by enriching their furry friends’ life through established communities programs. We also are adding new advocacy projects and financial welfare support programs such as free spay and neuter for animals in permanent homes for low-income families. 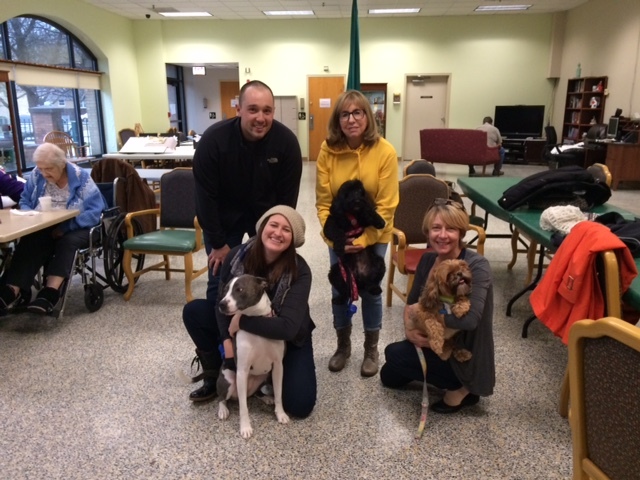 We will organize pet events to expand exposure of our current so they can find a permanent home; we will also visit rehabilitation and retirement communities to further our mission. Our vision is to help promote all dog breeds as adoptable pets. We will work together with local communities, shelters and animal control so every animal we rescue can find them a forever home. Our rescue plans on continually increasing our education on dog breeds that have negative perceptions attached to them. We will write educational newsletters, web articles, blog posts, twitter feeds and post positive family photographs including adding fun uplifting bully breed videos in order to breakdown these terrible myths. How certain dogs are labeled aggressive by communities and countries, which leads to bad policies. Offering proper obedience training for all our dogs, including education and consultation for the new adoptive families will be our top priority. A lifetime of a labeling certain breeds gives exposure to negative beliefs towards certain dogs, which in turn affects adoption. I have personally volunteered and it’s the ones that sit in cold cages for years in a dreary shelter. These dogs are still able to be social and happy even after they have been unfairly penalized due to one brief exposure of a not “so happy” meet/greet. Many of these dogs that are left in shelters for years still have resilience and spirit and surprisingly have not lost their minds even when they are not given a chance. They are the ones that are the true heroes and show us to not give up in the face of negative profiling. Many need that one break, that one family or that one person that will give them a chance. Talking about exercise, training and coaching families on which breeds are best for apartments and which breeds are best as work service dogs, guide dogs, companion dogs and therapy dogs. People don’t understand that their canine companion just wants to play and needs stimulating activities to be healthy and happy. 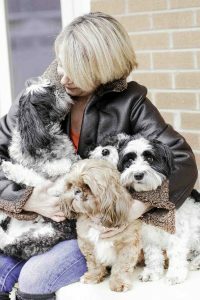 All breeds are looking for love and affection, and we can offer the answers that people are searching for. Having genuine respect for their furry friend will bring trust and loyalty. To love any dog can be a wonderfully positive experience whether it’s a family pet or a dog at a shelter – regardless of the breed. We have Pet resources and connections with behavior vets and trainers all throughout Chicago. Teaching young children compassion and going slow when first introducing a human and canine together is the key to a successful positive experience. 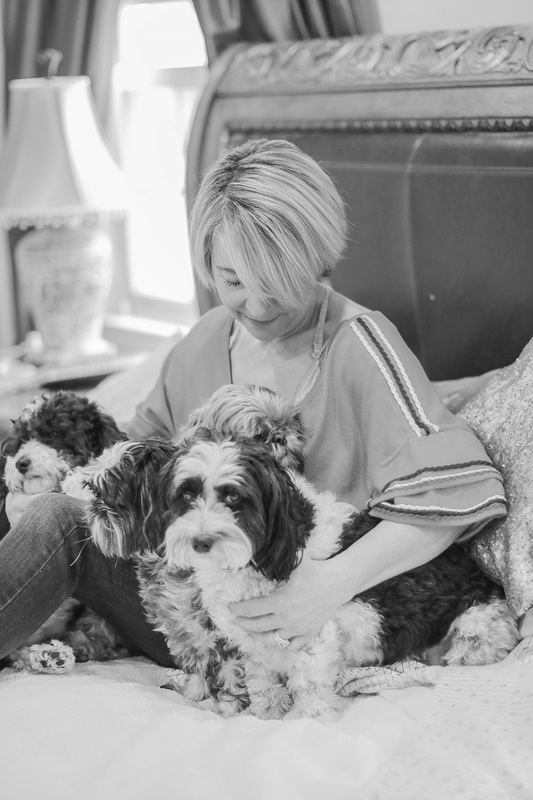 We want people to understand negative attitudes towards certain breeds are from irrational conclusions and by jumping into a profiling mentality. 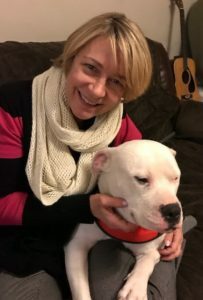 People need to open their eyes to all breeds and we will be reaching out to families that have adopted so-called bully breeds in order to debunk these myths. A man’s furry BFF is no stranger to negative labeling and this becomes a bigger problem because people end up alone or with the wrong dog just because they were uneducated or believe in old typecasting of certain breeds.